Let's consider an argument which is sometimes made against Christianity. Some horrendous action is done by someone who professes a belief in Christianity. This action is used to argue Christianity is a harmful belief. There are all sorts of problems with such a claim. Now, look at the diagram attached to this blog. 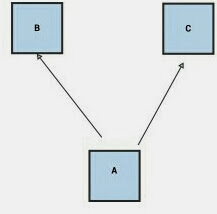 What we can tell is how A relates to B and to C. But we can't tell anything about how B and C interact with each other. (This is known as the fallacy of the undistibuted middle). 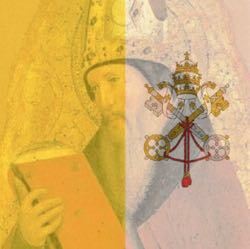 ■ Therefore Catholics are pro abortion. Which is asinine. (And despite what the media unethically claims, Pope Francis condemns abortion). Pelosi holds her position in spite of Catholic teaching , not because of Catholic teaching. Before we can blame the behavior of Bill on his religion, we need to determine what his religion teaches, and whether his religion approves of or disapproves of his actions. This can require some digging. For example, if a religion supports missionary activity, but condemns forced conversion, then if Bill baptizes people at gunpoint, he is acting against, not for, his religion. This is part of seeking the truth. The stereotype stops at equating bad behavior as part of the essence of the disliked group. The truth seeker asks whether a person does a wicked act because of or in spite of his beliefs. Unfortunately, stereotypes are common behavior. Some (like "all blacks are criminals") are mostly recognized as wrong and offensive. But many others are accepted as a matter of fact. The thing to remember is, whenever a claim is made drawing a conclusion against Christianity, one needs to determine whether the person acts in accordance with their beliefs or against them.